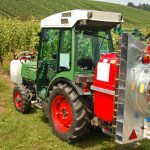 Two recently published studies by Eawag and the Ecotox Centre have once again shown that surface waters in agricultural catchment areas in Switzerland are heavily contaminated with a mixture of herbicides, fungicides, insecticides and other chemicals. In most of the samples, 30 or more different active ingredients were detected. Studies of stream biodiversity and bioassays confirmed the threat posed by these substances. Sensitive species of macroinvertebrates were simply not present at contaminated sites. Between March and October 2017, samples collected from five small streams with catchment areas subject to a variety of agricultural uses were analysed. Between 71 and 89 active ingredients were detected at each site, and a total of 145 substances across all sites. In the canton of Thurgau (Eschelisbach) the concentration was 36 times the level considered harmful to plant, animal and aquatic life. In the canton of Basel-Landschaft (Weierbach) it was 50 times this level. Glyphosate was one of the herbicides detected. 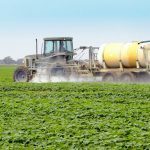 However, the list of farm chemicals found was long and included many with neurotoxic effects – these induce paralysis and death in insects. The protection provided for aquatic organisms by the regulated limits for these chemicals is wholly inadequate, said the researchers.